"Configurable, lots of ready to use presets. Budget app does what QuickTime X can't, read and convert native Windows files. 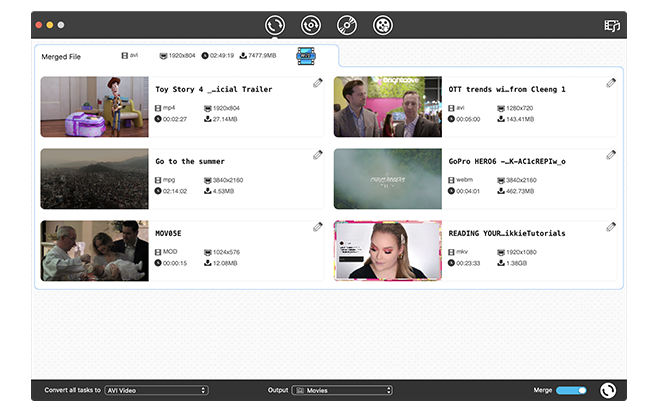 This is a tool that home movie makers, YouTube fans and folks with Windows-using friends will find indispensable." 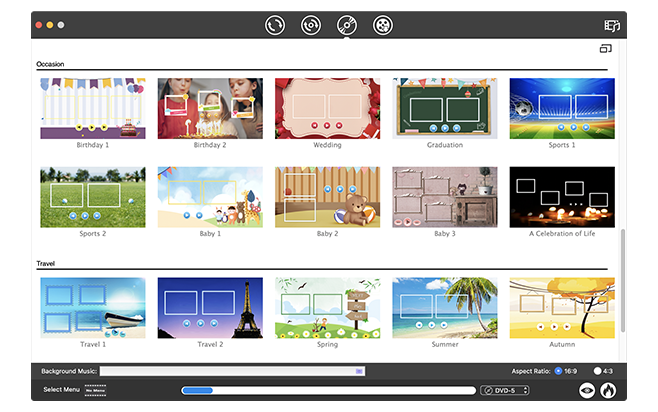 "iFunia Video Converter gets top sales on Softonic. With iFunia Video Converter you will see any videos on your mobile phone, PSP, iPhone, Xbox 360 or iPod, no matter the format." "In my tests, the program did very well in the conversion of multiple file formats for different outputs. Specifically tested the output to iPhone MPEG-4 and the result could not be better." The Mac Free Video Converter that Converts Video & Audio and Rip DVD! 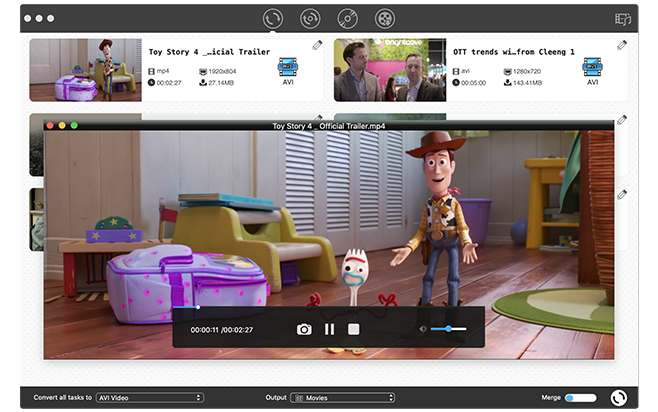 Support popular video and audio formats including AVI, MKV, HD MP4, HD MPG, HD MOV, etc. Rip DVD videos and movies to various formats including AVI, MP4, MKV, DivX, VOB, MP3, WAV, etc. Convert audios to AAC, M4A, AC3, MP3, WAV, OGG, etc. Also Support extract audio from Video and DVD. Support popular devices including iPhone 8, iPad, iPad Pro, Apple TV, Samsung Galaxy S8, etc. Download video to audio formats including MP3, M4A, etc. Video Converter Mac allows you to download and convert only the part of video that needs convert, and keep the best poassible quality. It’s able to compress large HD videos without losing quality, ready-made presets enabling you to reduce video file size at ease. 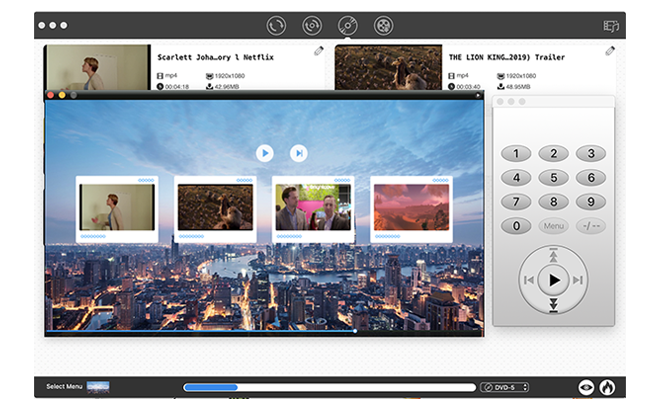 Updated with 30X faster video conversion speed, this new version of iFunia Video Converter Mac works incredibly fast. 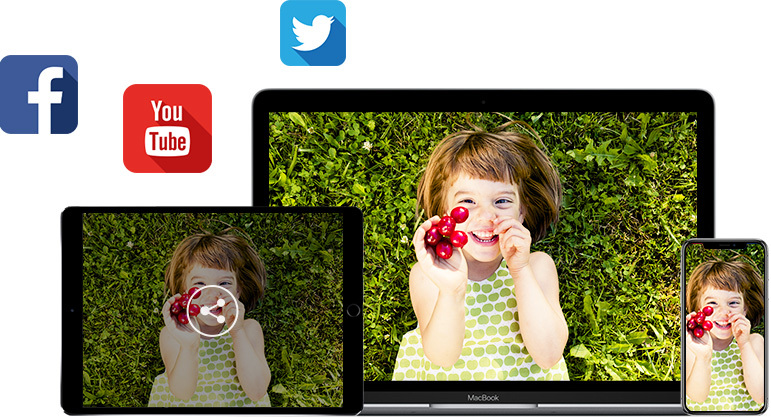 You can use the free Mac video converter to batch download or convert multiple videos or audios with high efficiency. 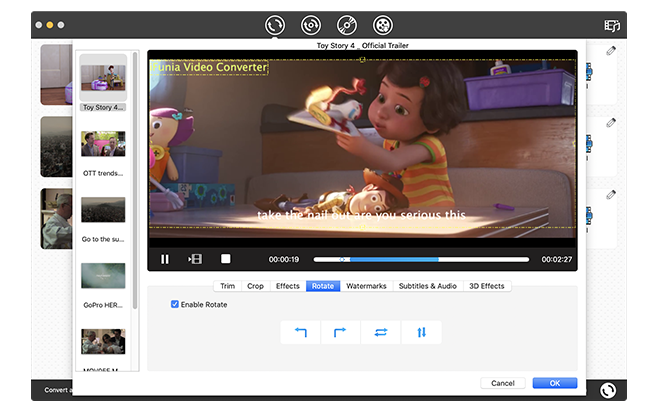 You can use Mac Video Converter to burn videos with subtitles and background music to high quality DVD disc, DVD folder or ISO file. 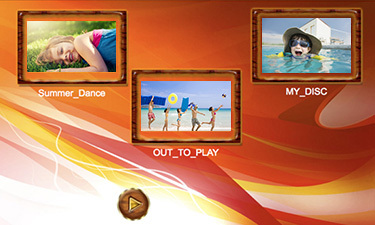 There are also various DVD menu templates for different occasions and events. 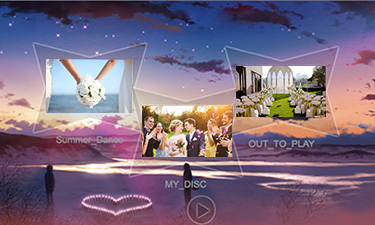 Burn wedding video to DVD with background music by using wedding menu templates and keep the happy, romantic moments forever. Burn holiday videos to DVD using this free video converter Mac. It has ready made template for Christmas, Thanksgiving, Halloween, Easter, New Year, etc. By burning birthday videos to DVD with birthday DVD menu, the happy moments of birthday celebrations and gatherings will stay forever. Personalize your videos with various video effects, like 2D to 3D, Gary, old film, etc. Free to convert only 3 DVDs and videos. One-time fee to enjoy free upgrade for lifetime in multiple Macs. Batch purchase for more than 5 Macs, ordering custom products, or fail to pay, please feel free to email us at [email protected]. Our software is 100% safe and clean to use. We use SSL (Secure Socket Layer) technology to ensure perfectly secure online ordering. We provide 24/7 online customer support. Contact us if you have any questions or problems regarding ordering or software usage. Our software comes with a 30-day money back guarantee.